On 26 September 1994 our lives were changed forever. A very special colt foal had been born at Simeon Stud, Australia. His name was Simeon Shemini. Simeon Shemini was sired by the great Asfour (Malik x Hanan by Alaa El Din) and was out of Simeon Shuala (Simeon Shai x Ramses Tinah by Ramses Fayek). The moment we saw him, when he was three months of age, we fell in love with him and knew that ‘Shem’ had to come to our farm, Gerzanne Stud, on New Zealand’s North Island. Shem arrived in Auckland by plane at five months of age. All we could see of him as he was offloaded was this tiny, beautiful little fellow, peering out of his crate, with the biggest, most ‘poppy’ eyes we had ever seen. Once he arrived at his home for life, he quickly settled in and became the cornerstone of Gerzanne Stud. 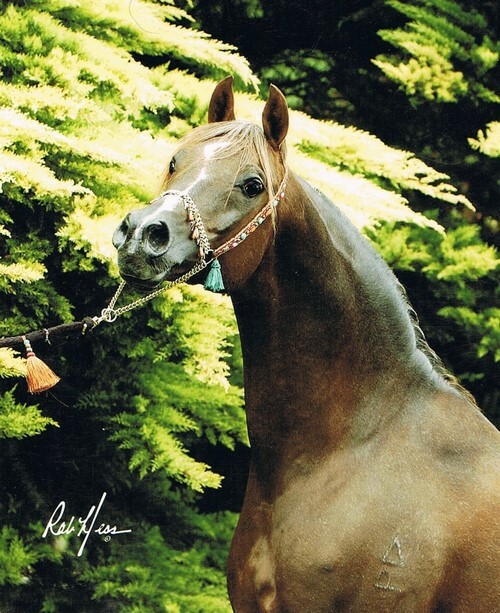 By the time Shem was four, he had won everything there was to win in New Zealand – North Island Supreme Champion, New Zealand National Junior Champion, New Zealand National Champion Stallion and, his greatest achievement, – New Zealand National Supreme Exhibit. This was back in the days when show entries were huge, with classes full. However well he did in the show-ring, it was as a sire that Simeon Shemini excelled, producing foal after foal of champion quality. Shem’s very first foal was SS Barabas (ex SS Barzani by Simeon Shomer), foaled in 1999. At 11 months of age, he was exported to the Royal Stables in Jordan, where even today he is shown with great success. To date, Simeon Shemini has produced 20 New Zealand National Champions, 15 Reserve National Champions and the many National Top Fives Awards that are too numerous to list. 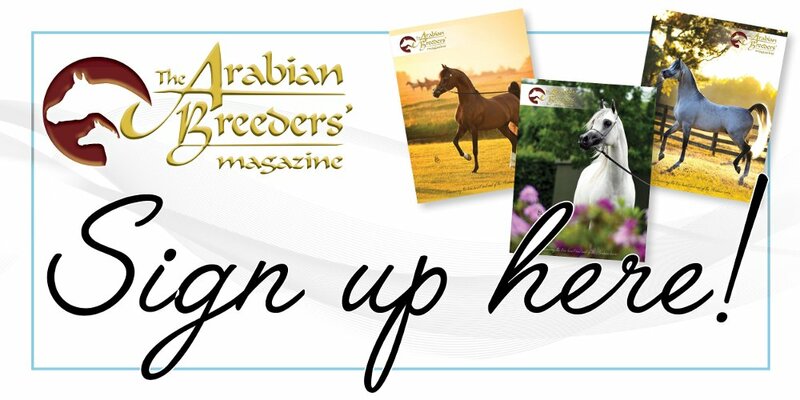 These all came from Gerzanne’s straight Egyptian and Egyptian related mares. To have had so many winners is an amazing accolade and without a doubt, Shem is New Zealand’s Leading Sire. For us, Simeon Shemini was he correct but he also had beautiful Arabian type. 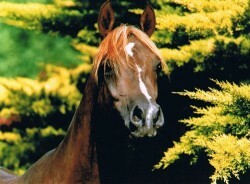 He was a gentle soul with the most amazing temperament of any horse we have ever owned – never a bite or a kick. Shem’s life was spent in a paddock beside the house where he shared his life with us, which he undoubtedly did having been with us from five months of age until 22nd year. In that same paddock, he will remain, with our love, admiration and thoughts forever. His passing leaves a huge hole at the stud, and we know that things will never quite be the same again. Run free, sweet Shem. Thank you for everything that you so graciously gave to us.